Phu Quy Isl and is situated about 56 nautical miles from the coastal city of Phan Thiet ( Binh Thuan Province ) to the east – southeast. Rising from the immense East Sea , the island occupies 16km². Depending on the direction it is approached from, it takes on different shapes: a dragon if it is seen from the east, a mackerel from the north or from the west and south a giant whale merging above the water. According to history books, Phu Quy Island had had various names over the years, such as Co Long, Thuan Tinh, Cu Lao Khoai Xu, Cu Lao Thu and others. Phu Quy Island has great tourism potential because of its cool climate all year round, mineral resources, many beautiful scenic spots and romantic beaches with white sand banks. The sea water is so clear that tourists can see the seabed, fascinating coral reefs, colourful sea creatures and many black rocky clusters and cliffs merging amidst waves. Tourists are also attracted to the island because of its superb swimming and fishing conditions and the opportunity to relax among wild nature. The Island boasts many beautiful places, including the lighthouse and Linh Buu Pagoda on Cam Mountain, Linh Son Pagoda on Cao Cat Mountain, and two national cultural relics of An Thanh Temple where the skeleton of a gigantic whale is worshipped by the locals and Linh Quang Pagoda that was built in the 18th century. Standing at the lighthouse, tourists have a panoramic view of the island’s romantic landscape and immense rock formations. Located in the growing economic zone of Phan Thiet – Ham Thuan Nam – Ham Tan – Phu Quy, that has strength in tourism and a great potential of sea and coastal resources, minerals and materials resources for the development of the agricultural product processing industry, foodstuff and seafood, Phu Quy Island has gradually become a sea-based economic centre with services for the fishery, processing seafood for export, shipbuilding and ship repairing. It has 1,400 ships with 59,884CV and 6,000 labourers. The productivity of seafood annually reaches about 20,000 tonnes. Particularly, on the island there are 103 aquaculture facilities, of which 93 facilities specialize in raising grouper on floating rafts and cages. The establishment and development of 16 enterprises engaged in processing seafood for export and nearly 30 service facilities for the fishery has made an important contribution to the process of shifting the region’s economic structure to the direction of modernization and industrialization. 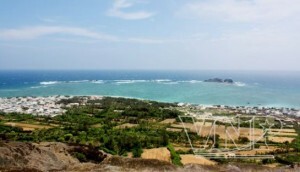 Phu Quy Island is changing day by day with a network of electricity, a modern system of roads, schools, medical stations and tourism services. Visiting the island, tourists will surely be amazed at its charming beauty and the honest, simple locals.